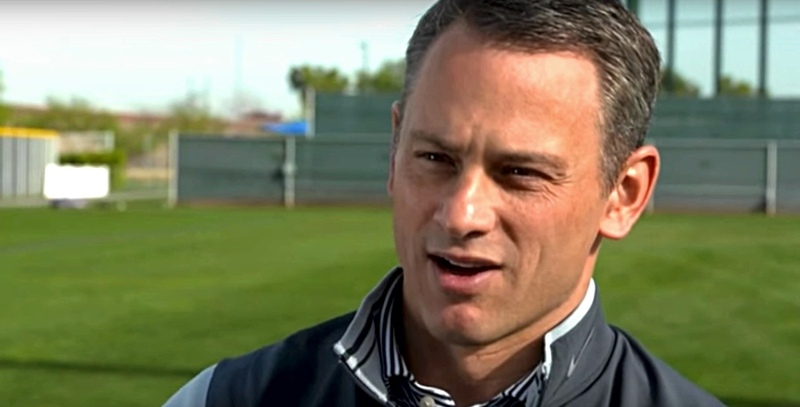 Today, Cubs GM Jed Hoyer joined Dave Kaplan on ESPN 1000 to discuss a wide range of topics on the eve of the Cubs Convention. I listened, took notes, and have some thoughts on what he had to say. I was rather taken aback by Hoyer’s candor at the top of the hour, but not in a particularly positive way (I mean, I appreciate the honesty, but not the position). Expectedly, he was asked about the Cubs’ budgetary restraints this winter and he seemed to suggest he doesn’t see any reason Cubs fans should be upset about how much the team is spending and has spent. He said there’s no way you can complain when the team is basically running out the third highest payroll in the league. In fact, he went as far as saying that, if anything, there should be a level of gratitude for getting the payroll as high as it is. I hate that I have to go through this nuance over and over, but even Hoyer side-stepped the obvious, so here we are: No, the Ricketts are not cheap – at all. Clearly, the payroll is very high, both in terms of organizational history and league-wide rankings. And, finally, yes, the team has done a FANTASTIC job of spending to this point. Period. All true. Not arguing any of that. HOWEVA, not spending at this point would be a strategic misstep. Like it or not, the Cubs may have backed themselves into a position where this competitive window is shortened without more dollars being infused into the on-field budget. Maybe, if they did a better job at drafting and developing pitchers (which isn’t easy, I know! ), or if some big contracts hadn’t been misses (tricky, I know! ), they wouldn’t be here, but the reality is what it is. 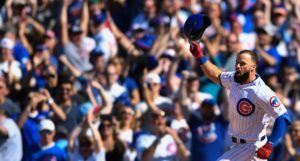 You will rarely have a core like Rizzo-Bryant-Baez, and not supporting and supplementing that core – even at a disproportionate level – would be misguided. It doesn’t have to be Bryce Harper. It just has to be something. There shouldn’t be obvious holes going into the season. To that end, Hoyer did suggest that the Cubs have spent most of the last few months trying to fortify the bullpen, and while I believe him, I can’t let some of his other comments slide. Hoyer seemed to be confused about the handwringing over the bullpen, saying as much while also intimating that unless a group is perfect, fans are going to want more out of the pen. That’s true, but the top two arms, Brandon Morrow and Pedro Strop, finished the season injured, with one of them expected to miss a month to start the year? Another three quality arms, Jesse Chavez, Justin Wilson, and Jorge De La Rosa are gone. Carl Edwards Jr. got wild, Brian Duensing was not even close to the guy he was in 2017, Steve Cishek was overused, and the team got some solid (and probably unrepeatable) contributions from the Triple-A shuttle bus guys. Everyone is a year older. Is an expectation that a useful addition or two is necessary really that out of whack? Maybe I’m being hard on them – and he did say improvements/additions were coming over the next few weeks – but it just feels so off to say fans are overreacting to the state of the bullpen. The state of the bullpen is the one, true, painfully obvious potential weakness of the club right now. That’s not up for debate. Hoyer went on to explain that this was one of the best offenses of 2017 and the entire first half of 2018 (true). So while the offense did break in the second half of the year, they see that as more of an outlier than something to overreact to. This feels like a walk-back of an otherwise strong address at the end of the season, but it’s not like he’s entirely wrong. This offense could be great – and it almost certainly will be just fine – but then what was all the tough talk about in October? Specifically, the front office remains very excited about Kyle Schwarber. Hoyer sees the already existing power and believes the batting average and OBP will follow soon behind. He warns fans to remember that these players didn’t spend as much time in the minors as other guys and so their development isn’t entirely complete. To that end, he wasn’t surprised to see Javy Baez break out last year, because he had the most professional experience/plate appearances of anyone in that younger core. Hoyer addressed the lack of an extension for Joe Maddon, but there was really nothing new. He doesn’t have an extension, but that doesn’t mean he won’t get one. Hoyer also discussed Addison Russell without too much new information, but did say (pointing it out specifically multiple times) that this is a conditional second chance for Russell, and that he’ll have to show he’s becoming a better person to keep his job on the team. Hoyer did not mention how he could show that or if we’d have any insight. He also said he was aware that the decision to tender him a contract would be unpopular. Hoyer does not think the Cubs need to have a set lineup, despite the wishes of fans. 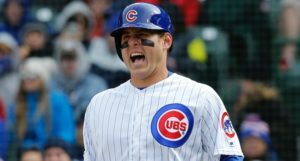 One of the Cubs’ biggest strengths is their depth, so not using it to the full potential would be a mistake. 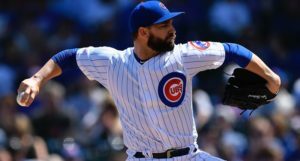 Playing the matchups, keeping guys healthy and fresh, and really taking advantage of their roster depth is what’s helped the Cubs win as much as they have. Agreed on that part.